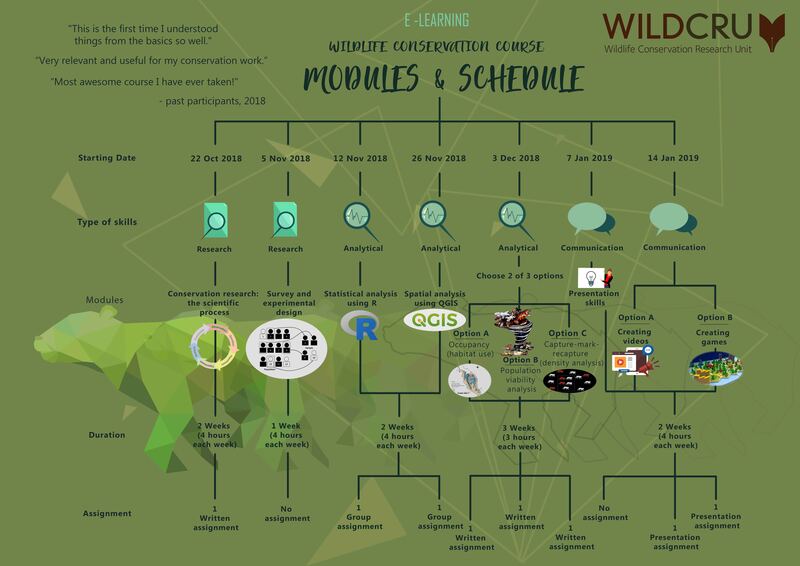 Developed by Dr. Lucy Tallents and Dr. Cedric Tan, this is the export of the WildCRU’s Recanati-Kaplan Postgraduate Diploma in International Wildlife Conservation Practice to an online interface. 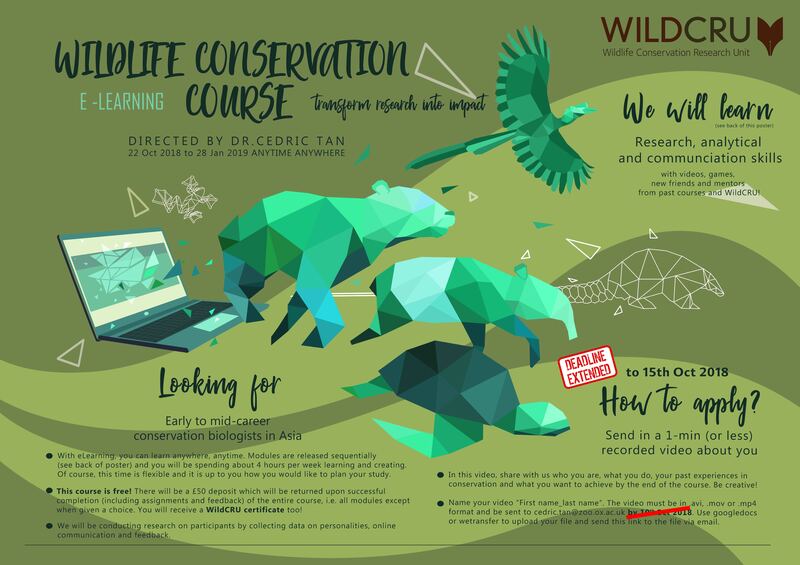 The eLearning Wildlife Conservation Course first made its run in 2016 and has since evolved with more advanced modules and more interactive delivery methods such as collaborative learning, online games and mentoring by WildCRUers. The first fully-fledged eLearning course will run from Oct 2018 to Jan 2019, with the aim of cultivating students with skills to transform their research into impact. They first learn how to develop research questions, then design data collection procedures, analyse the data and finally communicate the findings to the public and/or policy makers. With the online platform, participants can learn anytime anywhere, and network with other conservation biologists across the globe. 2018 application deadline extended to 15th Oct 2018! We are looking for early to mid-career conservation biologists based in Asia to participate in our upcoming course from 22 Oct 2018 to 28 Jan 2019. 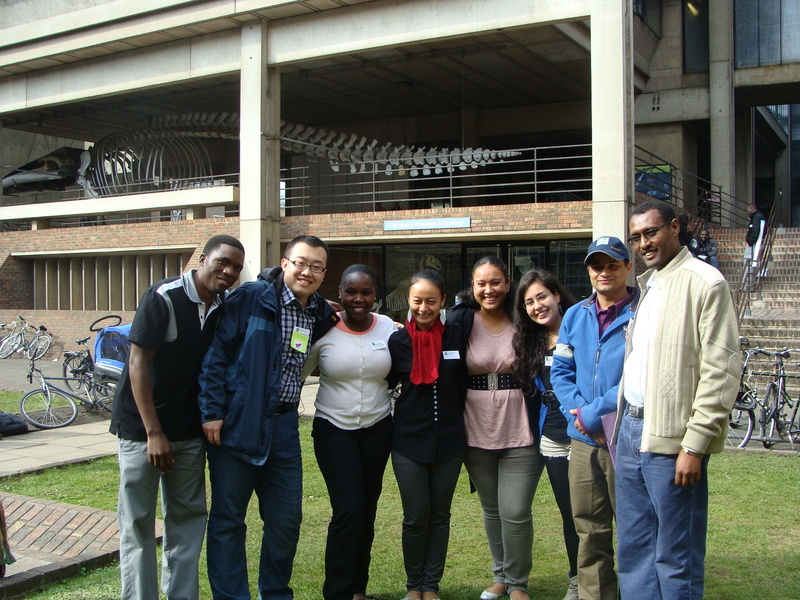 Spending 4 hours a week, participants will learn research, analytical and communication skills. This time is flexible and it is up to you how you would like to plan your study. Send in a 1-min (or less) recorded video about you. In this video, share with us who you are, what you do, your past experiences in conservation and what you want to achieve by the end of the course. Be creative! Name your video “First name_last name”. The video must be in .avi, .mov or ..mp4 format and be sent to cedric.tan@zoo.ox.ac.uk by 15th Oct 2018. Use googledocs or wetransfer to upload your file and send this link to the file via email. There will be a £50 deposit for successful applicants to secure their places. This will be returned upon successful completion of the entire course. Participants will need to complete the assignments, feedbacks and participate in discussions to obtain a passing mark in all selected modules. You will receive a WildCRU certificate if you complete the course. More details on modules are provided on the posters. Please do not hesitate to contact Cedric at cedric.tan@zoo.ox.ac.uk for any inquiries.